Skullcandy Ink'D 2.0 In-Ear Headphones with In-Line Mic in Black. 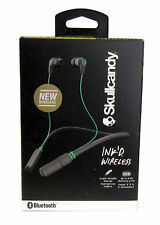 Designed, engineered and manufactured by Skullcandy. Skullcandy Ink'd Headphones in Black. Mic: In-Line Mic. Flattened cable for style and durability. They are in great shape. Screens have always had screen protectors, there are a few scratches on the back. These iPods are great for young kids. 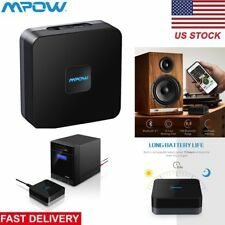 It is your top choice if you are looking for professional power in a wireless speaker. It can be easily connected to your music source via Bluetooth®, NFC or the auxiliary port. The built-in FM radio and a 3.5mm microphone/guitar input which adds more fun to your party. Sony MDR-ZX110NC noise canceling headphones. These give 95% ambient noise reduction. These are compact folding style with plug adapter for in-flight use. Great for use when traveling or flying. Trending at $19.89eBay determines this price through a machine learned model of the product's sale prices within the last 90 days. JBL SoundBoost 2 is compatible with any phone in the Moto Z Family. Give your smartphone a boost with powerful JBL stereo sound. Simply snap on the speaker to start using it. It connects to your phone on its own. Storage: 8 GB. Category: iPod. Generation: 2nd. Bose In-Ear Headphones/Earbuds - SoundSport/SoundTrue/Freestyle - Many Colors! Enjoy SiriusXM advanced features like TuneMix and SportsFlash with select new compatible car stereos. Great condition, fully working, professionally sanitized, all parts and retail packing included. 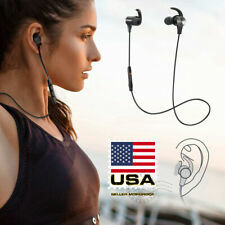 Jabra Elite Sport wireless earbuds feature superior sound quality for music and calls, and advanced wireless connectivity to ensure true. Sony WIC400/B Wireless Stereo Headphones. Easy Bluetooth connectivity with NFC One-touch. This may include serial number, special markings, etc. Up to 20 hours of battery life. The outlined policies have been put in place to do so. “iPod has been extensively tested (speakers, ports, wifi, microphone, touch screen, etc) and is fully functional. Please note that the 4th Generation iPod Touch does not update past iOS 6. Item shows moderate wear from previous use. Works great! Includes iPod and USB cable.”. You are buying 1x iFlash Solo Adapter which will allow you to convert your iPod Video (5th/5.5 gen) and iPod Classic (6th/6.5/7th Gen) from using a hard drive to using 1x SD/SDHC/SDXC card (SD card not included). Compatibility:Apple iPod Touch 5th / 6th Generation. HARD&SOFT DUAL LAYER ARMOR HYBRID CASE COVER. DESIGN: BLACK CARBON FIBER. Quantity :1 Case. (2-in-1 dual layer design : hybrid high impact combo with front and backhard protector andsoft silicone in the middle). Trending at $79.96eBay determines this price through a machine learned model of the product's sale prices within the last 90 days. So you have a great music library. Now enjoy all your beats with one of these excellent headphones designed to fit your lifestyle.